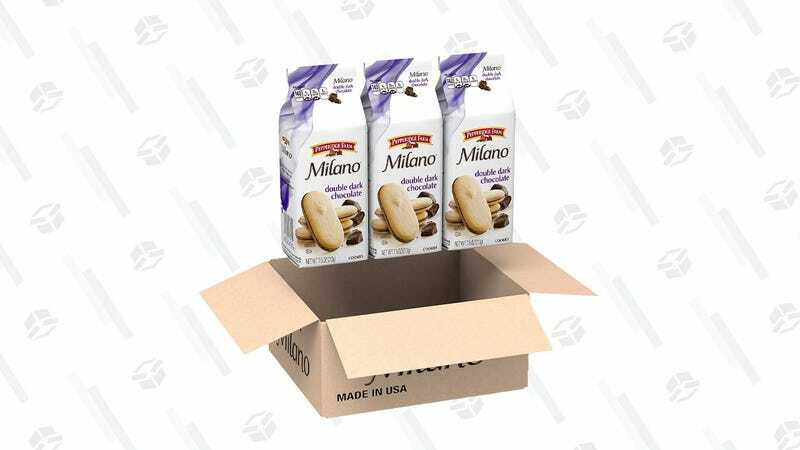 Right now, you can pick up three bags of tasty Pepperidge Farm Double Dark Chocolate Milano Cookies for about $6 after you clip the 20% off coupon on the page. Of course, this is an add-on item, so you’ll need to fill your cart with other items to total $25. But you probably have an Anker battery pack you’ve been waiting to pick up right?